By Daniel C. Dantini, M.D. If you have fibromyalgia, you already know the debilitating pain it can cause. You also probably know how difficult it can be to get an accurate diagnosis and proper treatment. Dr. Daniel Dantini understands—he, too, suffered from fibromyalgia. Determined to find a way to alleviate his symptoms, he discovered that fibromyalgia responds to antiviral medication. He also discovered that food allergies may contribute to the disorder, requiring an adjustment in diet. Having treated nearly 10,000 patients, he reports a 70 percent success rate. What is fibromyalgia’s link to chronic fatigue syndrome? How do viruses cause fibromyalgia? What medications are used to fight these viruses? How do these allergies affect fibromyalgia? What is the recovery time—when will I feel better? 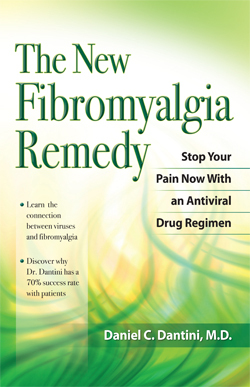 A Guide to Overcoming the Pain of Fibromyalgia!